Slovak veterinary inspectors have found 21 tons of spoiled Brazilian meat tainted with salmonella in the capital Bratislava, officials said Friday. "The Brazilian meat was imported into Slovakia via the Netherlands and Poland," Slovak Agriculture and Rural Development Minister Gabriela Matecna told a press conference. 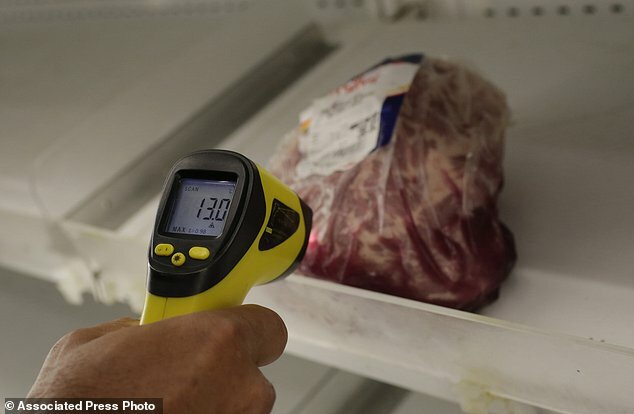 "Our veterinary inspectors immediately ordered this meat to be withdrawn, as it had been distributed to as many as 54 restaurants throughout the country," Matecna said. The Slovak Agriculture Ministry immediately halted the sale of Brazilian meat in the country. Matecna said inspectors have checked 341 products so far. The laboratory tests to date have discovered 17 irregular items, according to Slovak State Veterinary and Food Directorate general director Jozef Bires. "We're continuing to perform inspections, focusing mainly on entities with warehouses that are engaged in relatively large-scale trade in this commodity, supplying it to restaurants and end consumers," Bires added. Slovak inspectors so far haven't found any of the chemical substances that were allegedly used in Brazil to mask rotten meat. Brazil is the world's largest exporter of red meat, with its meat products sold in 150 countries worldwide. Earlier this month, the Brazilian police uncovered a massive scheme of meat adulteration, which involves some of the country's largest meat producers. The crackdown action came as part of the so-called "Operation Weak Flesh" launched by the police targeting some of the major meatpacking companies in Brazil, such as market leaders JBS Friboi and Brasil Foods. The Federal Police said the meatpacking companies under investigation were selling expired meats. In order to disguise the odor of the meats, they were adding ascorbic acid to the pieces. The companies then paid bribes to the Agricultural Ministry inspectors to authorize the sale of the contaminated meats. According to the police, the adulterated meats was sold in the domestic market and exported as well.